If your vehicle’s transmission fails to function properly, your entire vehicle will soon fail to function properly. The transmission is key to the performance of any type of automobile. For this reason, it’s important to keep a careful eye on your transmission at all times. If it encounters any problems, they will need to be corrected as quickly as possible. 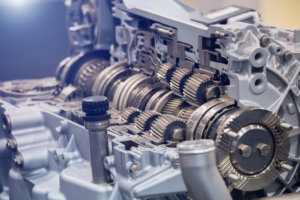 Now, you may be wondering: how do you know if your transmission has encountered problems? The answer is by looking out for the following signs. Here are the common indications that you require transmission repair in Addison, Illinois. Transmissions are designed to hold up for fairly long periods of time. However, in order for them to hold up over the years, they will need to be repaired on occasion. 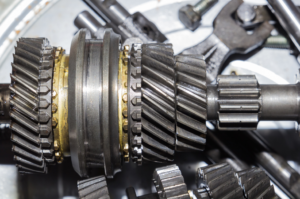 Wondering how to tell if your transmission has taken on a problem that requires repair? You can generally do so by keeping your eyes open for a few key indications. 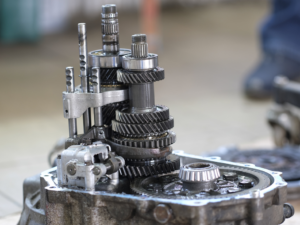 Here are the common signs that you require a transmission repair in Hillside, Illinois. 24 Sep What Happens if You Don’t Repair a Faulty Transmission in Elmhurst? Your vehicle’s transmission is vital to its overall operation. When a transmission gives out, your vehicle will no longer be able to perform. The question is: what does it mean when a transmission “gives out”? What can actually happen if you don’t repair a faulty transmission? There are a number of things that could occur, all of which will be reviewed below. It’s simple: when your drive shaft breaks down, you will be unable to drive your car. Your drive shaft is one of many components needed to appropriately power your automobile. Responsible for transferring power from the gears to the wheels, it is absolutely vital to your vehicle’s overall operation. This is why it’s important to be ever-cognizant of the state of your drive shaft. How can you achieve this? By always keeping your eyes and ears open for few specific signs. Without further ado, here is how to know if you need drive shaft repair in Villa Park, Illinois. Though transmission fluid is durable, it’s not indestructible. Regardless of the quality of your transmission or the quality of your transmission fluid, your fluid will, at some point, lose its efficacy. When this happens, your vehicle won’t perform at quite the same level as it once did. 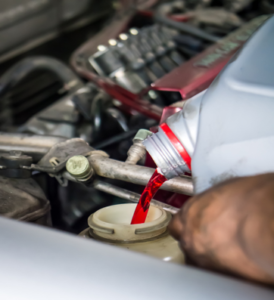 How will you know when your transmission fluid needs to be replaced? By keeping your eyes, ears, and nostrils open for specific signs. Wondering what these signs are? You’re in the right place. Here are signs that you require a transmission flush in Lombard, Illinois. 08 Aug Should You Utilize the Services of an Elmhurst Transmission Repair Company? Without a properly functioning transmission, your car will likely not survive for very long. It’s for this reason that you should keep your transmission’s health in mind. 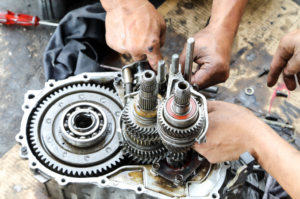 Should something go awry with your transmission, it’s wise to take it to a transmission repair company immediately. However, how can you tell when something has gone awry with your transmission? Are there specific signs which indicate that you should utilize the services of an Elmhurst transmission repair company? To put it simply: yes. 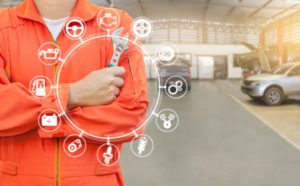 If your answer to any of the following questions is ‘yes’, it’s highly recommended that you see a transmission repair company as soon as possible. At some point, your car will likely experience some sort of transmission problems. Whether these problems are minor or major, when they do occur, they should be fixed promptly. 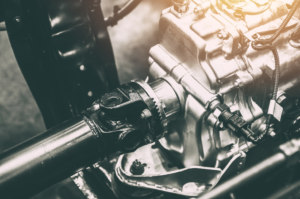 In the vast majority of cases, it’s highly recommended that you utilize the services of a professional transmission repair service whenever your transmission requires attention. However, not just any transmission repair service will do. It’s better to find one that is reliable and competent. How do you ensure this? By doing a bit of research. 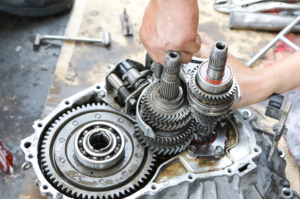 Here is what to look for when seeking out a transmission repair service in Lombard, Illinois. 08 Jul How Often Should You Have Your Transmission Fluid Flushed? 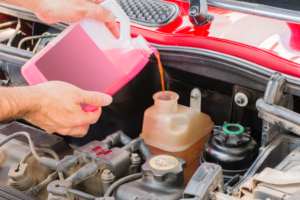 In many cases, transmission fluid serves its purpose admirably for a very long period of time. However, this isn’t to say that transmission fluid thrives forever. At some point, it will need to be flushed and replaced with fresh fluid. More often than not, transmission fluid tends to lose its efficacy somewhere between 30,000 and 60,000 miles of use. 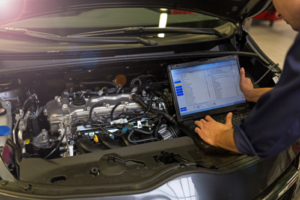 This figure varies based on a number of different factors, including the quality of your automobile and any damage which its transmission may have suffered.